On my last visit to Adelaide after the Ballarat trip I decided to walked to my opticians appointment in the CBD from Atkins Photo Lab in Kent Town. I had lost my glasses on that trip, and as I had an hour or so to fill in before the appointment, I wandered through the Botanic Gardens. I was hoping to start by viewing a SALA exhibition of Kangaroo Island artists at the Wine Centre but it had finished. So I meandered through the Australian native plants section of the Botanic Gardens. 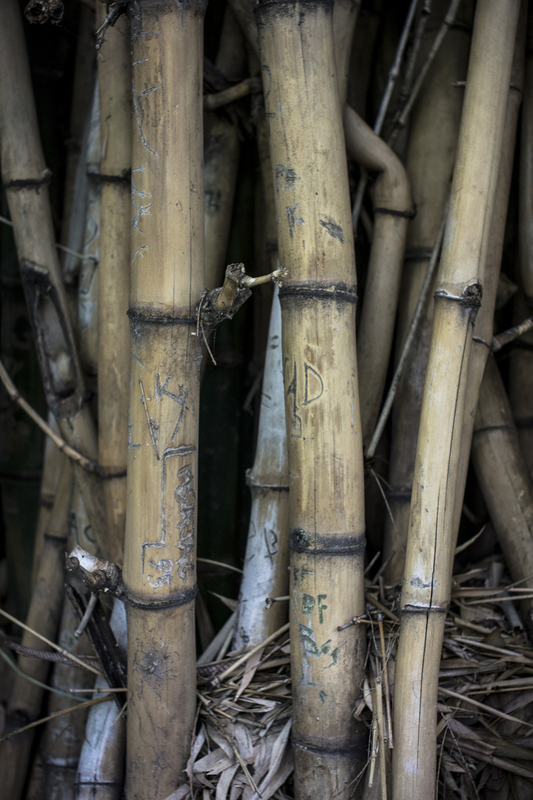 I ended up among the strands of bamboo along a bit of a waterway near North Terrace. I had briefly photographed these for an Atkins Film Challenge a year or so earlier. I was intrigued by them but felt that I didn't do them justice then. So I decided to take another look.